Superheroes get the all headlines, the franchises, the video games, the titles cards bearing their names. But even the mightiest superheroes are only as impressive as their nemeses. The most memorable story arcs in comic history are defined not by the heroes themselves, but by the challenges they overcome; the villains they defeat. Who is Batman without the Joker? Spiderman without The Green Goblin? 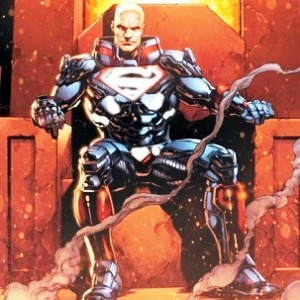 Superman without Lex Luthor? Memorable villains come in all shapes and sizes; but in a world where superhuman strength isn’t a rarity, the most impactful and successful are usually the most intelligent. After all, a villain is only as good as their evil plan. This list is an attempt to rank the fifteen smartest villains in comic history. We largely stayed away from true god-types, as their innumerable gifts make them boring devices of deus-ex-machina more often than compelling antagonists. We also wanted to focus on those villains that count intelligence as an innate ability. Villains who use smarts to augment their powers, not vice-versa. These are the characters who were never going to be anything but geniuses – the ones you would most want to cheat off of in class, if you were feeling so villainous. These are the 10 Smartest Villains in Comic Book History. Mister Sinister first appeared in The Uncanny X-Men #221, in 1987, but in the storyline, he had already been around for many, many years. We learn in The Further Aventures of Cyclops and Phoenix (1996) that Sinister was born Nathaniel Essex in Victorian London, where he became a biologist in 1859. He was a contemporary of none other than Charles Darwin, and became obsessed with Darwin’s work. However – in a true testament to Sinister’s character – he felt that Darwin was too constrained by morality, and that his work should transcend such a meaningless construct. 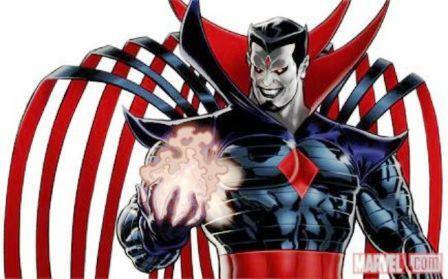 Mister Sinister’s scientific genius allowed him to substantially mutate himself at the most basic level, unlocking abilities as varied as shape-shifting and invulnerability. He is a master of genetics, cloning, physics, manipulation, and technology, but he’s still the tenth most intelligent villain of all time.